← A Quick Guide To Newcastle Upon Tyne. 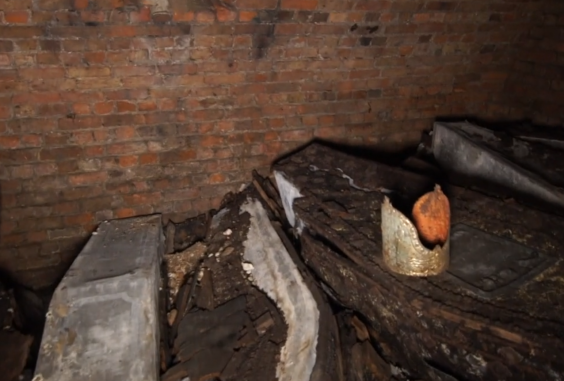 Incredibly the builders had discovered an ancient crypt that contains around 30 lead coffins which are believed to include the earthly remains of five Archbishops of Canterbury that date back to the 1660s. In fact, on top of one coffin, the mitre of an archbishop, glowing in the dark could be seen. The parish church of St Mary-at-Lambeth was built opposite Westminster in the 11th century by the sister of Edward the Confessor. It was the chosen burial place for various Archbishops of Canterbury from the 1660s. The coffins contain the remains of Richard Bancroft, who oversaw the production of the revolutionary King James Bible in 1611, as well as clergyman John Moore and his wife, Catherine Moore. According to the church’s records, another three Archbishops are probably buried in the crypt; Frederick Cornwallis, who was in office from 1768 to 1783, Matthew Hutton – 1757 to 1758 – and Thomas Tenison – 1695 to 1715. A sixth Archbishop, Thomas Secker, who was in office from 1758 to 1768, had his internal organs buried in a canister in the churchyard. It’s even more surprising considering is the propensity of flooding from the Thames and the fact the Victorian excavated 30,000 burials from the church when they remodelled the building… as Victorians often did to their churches. The discovery might not have happened at all as the church was deconsecrated in 1972 and scheduled for demolition. However thanks to a group of volunteers and garden historians, the church escaped its fate and the volunteers decided to dedicate the building to John Tradescant, the gardener to King Charles I who was buried in the church. Lambeth Palace and the church of St Mary At Lambeth © Copyright Martin Addison and licensed for reuse under a Creative Commons Licence. Mary-at-Lambeth closed in October 2015 to undergo a £7.5m redevelopment and become the world’s first gardening museum. Visitors to London and locals alike will soon be able to learn more when the building re-opens shortly as the world’s first gardening museum. This entry was posted in history, Life, London, News and tagged Archbishop of Canterbury, Archeology, Bible, Christian, Faith, Lambeth Palace, St Mary At Lambeth. Bookmark the permalink. 2 Responses to Lost and found at Lambeth Palace. Incredible what else we can find underneath our feet.